Family brewer Charles Wells has submitted a planning application for a brand-new brewery and visitor centre that will lay the foundation for the future of Charles Wells as a brewing family and pub company. This location will give Charles Wells access to major roads in and out of Bedford, allowing the brewery to fully support its leased and tenanted estate and growing managed house estates in England and France. The location is also above the Bedford Oolite aquifer, which was famously tapped by brewery founder Charles Wells. The company have been using water from that well in the production of their beers since 1902. 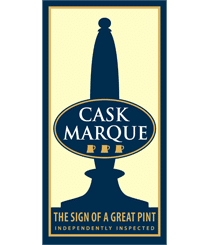 Choosing the Fairhill site and submitting the planning application is symbolic of the direction of Charles Wells as a business, since the sale of its brewery and brands to Marston’s in 2017. As Peter Wells explains, the focus now is to become a stand-out pub company: “While we remain a brewing family, our entire business focus is about supporting our pubs, whether they are part of our leased and tenanted estate or our growing managed estates in the UK and France. The new Charles Wells brewery will be a shining example of how traditional brewers can turn the evolution of the brewing industry to their advantage, listening to their Pub Partners to create beers that attract customers from far and wide.